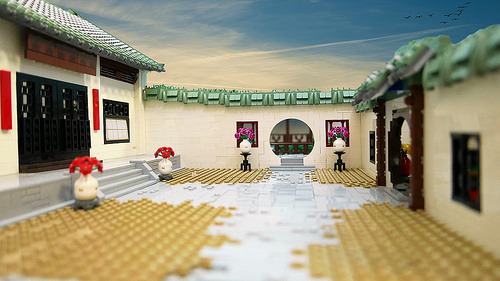 This diorama by vincentkiew showcases the beauty of traditional Chinese architecture and landscaping. 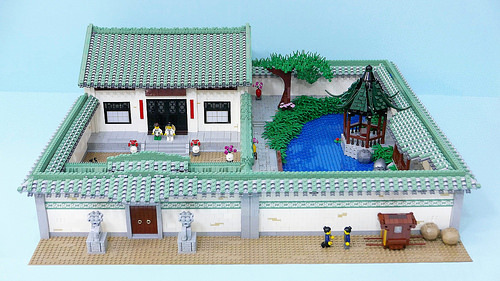 A quaint courtyard and miniature garden completes the peaceful setting, and the use of the new Ninjago fences as well as the wallpaper brick are fantastic details that add style to the creation. There are many delightful detail shots to discover in the Flickr gallery, or you can check them out in this slideshow accompanied by traditional Chinese music.